What is a Non-Disclosure Agreement (NDA) and when is it used? A Non-Disclosure Agreement (NDA) is commonly used to protect confidential information being disclosed either publically or, in the commercial sense, to a competitor. They explain what information must remain confidential and under what, if any, circumstances the information can be used or disclosed. They can often be presented to employees at the start of their employment, to ensure that any sensitive information they come into contact with during their employment remains confidential. However, they could be presented at any time, both during and after employment, to ensure particular confidential information is not disclosed. Are Non-Disclosure Agreements a new phenomenon? Although NDAs have been in the press a lot due to the allegations against Sir Phillip Green, this is not to say they are a new creation. For example, a properly drafted employment contract should contain a clause that deals with confidentiality, this in effect is a form of an NDA. For employers, it is essential that any contract of employment makes provisions for confidentiality – otherwise they may have to rely on an individual willingly entering into an NDA further down the line when the relationship may have already soured. Is a Non-Disclosure Agreement the ‘weapon of choice’ to silence claims of sexual harassment? It appears that there has been a blurring of lines in the media when it comes to reporting on NDAs. It is important to realise that NDAs only protect against the disclosure of confidential information, such as allegations or circumstances surrounding alleged acts of sexual harassment. However, an NDA would not prevent an employee from bringing a claim against their current, or former, employer in an Employment Tribunal. In order to be properly protected, an employer should use a Settlement Agreement as this will offer them protections against employment claims whilst also making provisions for confidentiality. A properly drafted Settlement Agreement will include a detailed confidentiality clause and what is known as a ‘non-derogatory comments’ clause. Such a clause operates to prohibit an individual making any derogatory statements concerning the employer in question or concerning any of the people who work for or who are associated with that employer. It is therefore understandable that, without proper advice, Settlement Agreements and Non Disclosure Agreements can give the illusion of gagging an individual, when in fact this is not strictly true. The key question here is whether SAs/NDAs can stop someone raising allegations of sexual misconduct. If there is an employment relationship, then the short answer is NO. This is because any agreement in this situation would be void in so far as it purported to preclude a worker from making a protected disclosure (i.e. whistle blowing) to either their employer or to a ‘Prescribed Person’. A Prescribed Person being a regulatory body set up to deal with issues raised in a particular industry (a list of these can be found on the UK Government website). Where there is an allegation that a crime has been committed, such as a serious sexual assault, there are certain exceptions in addition to whistleblowing protections that would allow an individual to contact the police in order to report the incident, regardless of whether or not they have signed an SA/NDA. So the concept that people who may have committed a serious act of sexual misconduct can simply pay to silence individuals, and avoid any criminal repercussions, is not true. What support or advice is available to employees? It is also important to note that during the process of being offered a SA, an employee must obtain advice from a relevant independent legal adviser on the terms and effect of the proposed Agreement before signing it. This is a legal requirement and without this advice the Agreement will not be legally binding. You should always be advised, be it company or individual, that any provision in an agreement which aims to prevent someone from “blowing the whistle” will not be legally enforceable. Therefore it may be poor advice, not necessarily the agreements themselves, that leads to individuals believing they have been ‘gagged’. It is unlikely that there will be any significant changes relating to NDAs/SAs in the near future as the relevant protections and loopholes are already in place. However, if an agreement or contract of employment is drafted properly, there are already the relevant provisions in place to provide adequate protections to both individuals and employers alike. This is why it is essential that if you ever believe you need a Settlement Agreement or a Non-Disclosure Agreement, or you are a recipient of same, that you seek legal advice at the earliest possible stage. 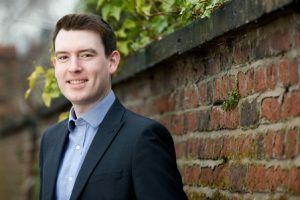 For further information on Non-Disclosure Agreements or Settlement Agreements, please contact Charlie Wood in our Employment Law and HR team on 0161 475 7673. Do you have to pay your employees for their travel time to and from work? Self-employed, worker or employee – what are your rights?